I don’t know what causes this one vaccine to be so easily rejected by so many people, but it could be that the central myth of the flu itself is that it isn’t dangerous. People really believe that no one gets hurt from the flu. Especially themselves. We know that polio can paralyze. Or that measles might kill. Or that whooping cough is dangerous. So vaccines for those diseases seem to be mostly acceptable to 95% of Americans, and quite frankly, to most of the world (pdf). But the flu vaccine just gets relegated to same healthcare category as when your physician tells you to get more exercise. Or eat less red meat. Or get more sleep. In the USA, people recently overdramatized the risk of Ebola, but completely ignore the fact that the flu actually is substantially more dangerous than Ebola. In 2012-13, over 140,000 Americans were hospitalized because of the flu (pdf). But worse yet, 169 children died from the flu, most were not vaccinated. As of today, not a single child has died in the US from Ebola, yet hundreds of children die from the flu, which is prevented by vaccines, every year. But these aren’t just numbers. There are real parents having real funerals because of the flu. Ten years ago, a healthy four year old girl, Amanda Kanowitz of Scarsdale, NY, died from complications of the flu, two days after catching it. Amanda was one of 153 children who died of the flu that season (ironically, the first that the CDC began to track pediatric mortality), most of whom were healthy, like Amanda. Her parents didn’t have her vaccinated against the seasonal flu because, in 2003-04, the flu vaccine wasn’t indicated for children older than 2 years. Precisely because their family pediatrician, following CDC and FDA recommendations, didn’t vaccinate Amanda (a medically appropriate choice at the time), she caught the flu. According to Amanda’s father, Richard Kanowitz, “her body couldn’t fight the virus and didn’t know how to regulate itself. It was her body’s immune system and the reaction to the virus that killed it.” In fact, in 2006, after impassioned pleas from Amanda’s parents, the CDC’s Advisory Committee on Immunization Practices (ACIP) recommended that the pediatric flu vaccine include children up to 8 years old. The flu can overwhelm an immature immune system, but even with a four year old child, the effects of the flu can kill. Excess mucus can cause labored breathing, for example, leading to secondary pneumonia. It can cause organs to shut down, as the immune system battles the flu virus. One moment, your child is healthy and playing tag with her siblings, and in just a few hours, she’s fighting for her life. And it can be prevented with a simple shot, and it’s horrifying to me that parents lost a child because they didn’t refuse a vaccine for Amanda, but because of timing of safety data accumulation from the manufacturer meant it wasn’t approved. And remember, the flu virus doesn’t just appear out of thin air and dropped onto children. They must catch it from someone who is infected with the virus, who probably didn’t get the flu vaccine because they think that the flu isn’t all that dangerous. Or something ridiculous. Setting aside all the lies, myths, misinformation, and outright delusion, flu is dangerous to everyone. I wrote about a healthy teenage girl who has chronic health issues from a severe bout of flu. These aren’t just random stories, they are real parents and real children who are attacked by the virus. Yes, the flu is more dangerous to those who are older, who have chronic health issues, who are immune-suppressed, and to young children. Maybe you, the reader, think you’re a healthy 25 year old who really doesn’t need the flu shot. Maybe you think you’ve never had the flu, or it’s just not going to do anything to you. But what if you were the one person that passes the flu to a young child who then dies of it. Yes, you can help stop the spread of the flu. Of course, over 50,000 Americans died of the flu (or complications) in the 2011-12 (pdf), many of them healthy young people, just like you. The flu vaccine is safe, as safe as any vaccine out there. It’s safe for pregnant women. It doesn’t cause neurological disorders. There is overwhelming evidence that debunks every common myth about the safety of the flu vaccine. Think of Amanda Kanowitz. Today, she would have gotten the vaccine, and she would probably be a happy, giggling four year old with an infectious smile. Save your life. Save the lives of children. 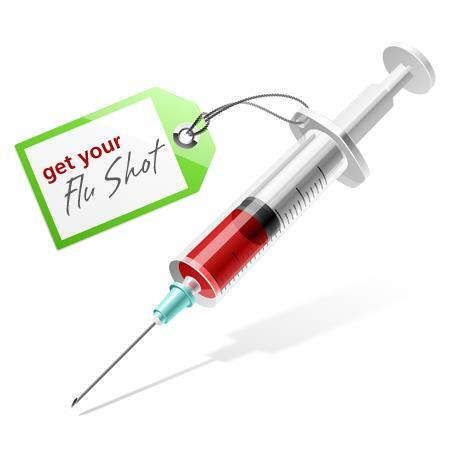 Get the flu vaccine.